Embodying translucent hues in the purest form, the Stone Collection emulates the most coveted semi-precious gems. Featured in a durable stone-like texture for added grip, the muted color palette simulates the raw delicacy of the minerals. Imitating the charm of raw materials and natural fibers that can be found in the world's most picturesque forests, the Wood Collection, featured in a smooth matte finish, resembles mixed distressed woods. 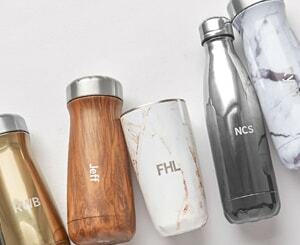 Keep your bottle clean with your very own S'well Brush. Our brush comes with a removable head that can be easily pulled off from the top of the handle. 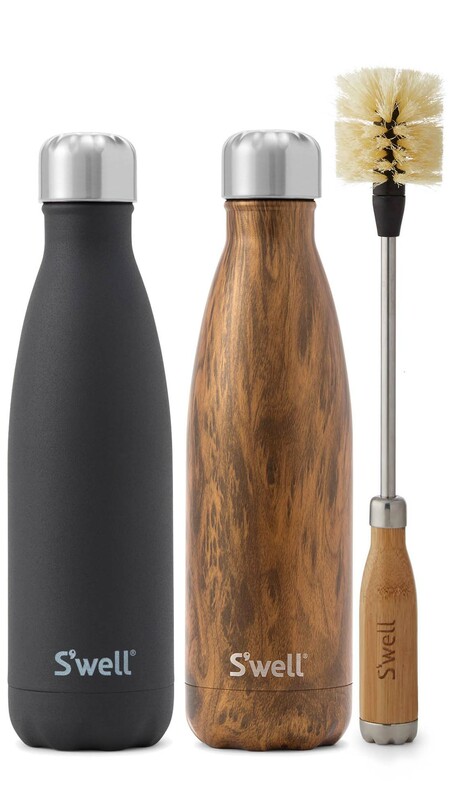 It is made to fit in all of our bottle sizes for easy cleaning. Two rugged-yet-refined classics team up to create the perfect gift set. Paired with our custom brush, which keeps any S’well product as fresh as the day you got it.